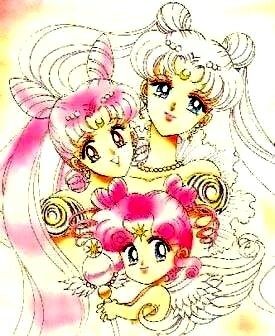 Anime Character Info | Sailor Moon Obssessed!! | Identities | Webrings | My Adoptions | Manga Info | Anime Info | Cosmic Dictionary | How Do You Say That | Japanese Terms and Info | Rumors | Manga Character Info | Photo Album | About Naoko Takeuchi | The Story Of Sailor V | Multimedia | Mailbag | Related Links | History Of Sailor Moon | Sailor Moon FAQ | Contact Me | Fun Stuff | Sailor Moon Romance | Sailor Moon Storylines | Vote For Me!! Sailor Moon is "anime" a Japanese cartoon, created by a woman named Naoko Takeuchi. Since 1992, Sailor Moon has run in Japan with overwhelming popularity. Now, Sailor Moon is shown around the world, in countries such as Hong Kong, Australia, Italy, Spain, France, Canada, and the United States. Sailor Moon is about a fourteen year old teenager named Usagi who, like ordinary girls, goes to school, hangs out with friends, and talks about boys. On the other hand, when evil strikes, she turns into a female super-hero called Sailor Moon. Her, as well as her fellow Sailor Scouts (Sailor Mercury, Sailor Mars, Sailor Jupiter, and Sailor Venus) fight against evil, protecting the well-being of the universe.